Our company is constantly developing equipments which respect and fit in with the environment where they are used. An effective and efficient method of cleaning your beach is using sand cleaners able to remove trash and debris. Durable and reliable equipments, our sand cleaners clean in a hurry. That’s why we invite you to visit our headquarter where you can see alive the production of these particular sand cleaners . And if you have not the possibility to visit our company personally, please go ahead and look around the site. 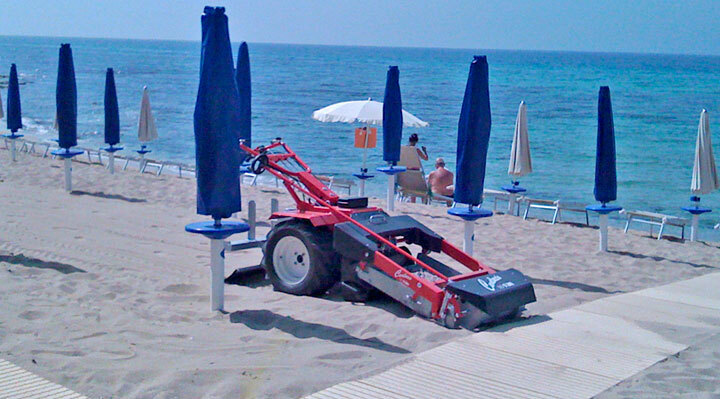 Visiting our product summary page you can discover the high quality range of our beach cleaning machines. 11 models studied for all the exigencies of our customers. So if you want save your time and money, please call us, if you use one of our sand cleaners, your customer will be satisfied.